How to get New Zealand Working Visa. Anyone who wishes to relocate from another country to work in New Zealand will need to know how to get New Zealand working visa. There are several different types of visa which you can apply for depending on your own individual circumstances, each with different eligibility criteria. 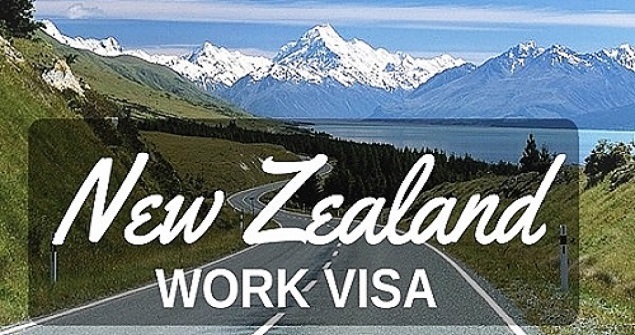 There are a number of New Zealand work visas however all are temporary in nature. Should you wish to stay in the country, many of them can lead to being granted to a residency permit. Here is a brief guide to the current types of New Zealand working visa. This visa is intended for those who have specialist skills and can fill the shortage gaps within certain industries in New Zealand. The government has a list of shortage industries and should your skills and experience fit within any of these categories you are eligible to apply for this visa type if you are offered a job by a New Zealand employer. In these circumstances there is no requirement for the employer to provide evidence of having tried and failed to recruit a New Zealand citizen. If you have been offered a job in New Zealand but your field of employment does not feature on the shortage skills list you can still apply for this visa type, however your new employer will need to provide evidence that they have attempted to find a suitable New Zealander to fill the role before offering you the position. The length of your visa will depend on the job contract that you have been offered, however if you wish to stay in the country after this term you may be eligible to apply for residency under the skilled migrant category. This visa type enables workers who have remained in their job for two years to apply for permanent residency. There are two types of work to residence visa, the first being the Long Term Skills Shortage category for those who are working in one of the shortage skills areas and the second being the Accredited Employer category. Both of these require you to meet several criteria including age, character and health requirements. If you only wish to spend a year or two touring New Zealand while making some money at the same time, you may be eligible to apply for a working holiday visa. The country has a reciprocal arrangement with a number of other nations which permits successful applicants to explore the country while working to support them. 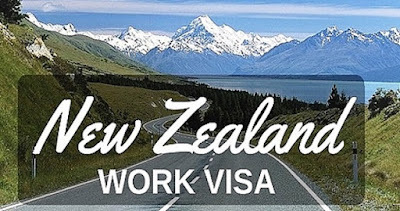 These visas are suitable for those aged between 18 and 30, (occasionally 18 and 35), and they allow the holder to travel around New Zealand while working for a period of up to 12 months (23 months if from the UK). In order to be eligible, you will need to show that you have a return ticket or sufficient available finances to be able to purchase one and you will need to show that you are mainly visiting the country on holiday with working only being a secondary intention. A list of countries that are involved in this agreement can be seen on the New Zealand government website. You can begin the New Zealand visa process by visiting the government website. It is possible to apply for a visa online although you will need to pay the necessary fee and provide evidence to support your application. The process is quick and simple via the website. Alternatively, should you prefer to do so, you can submit a paper application.